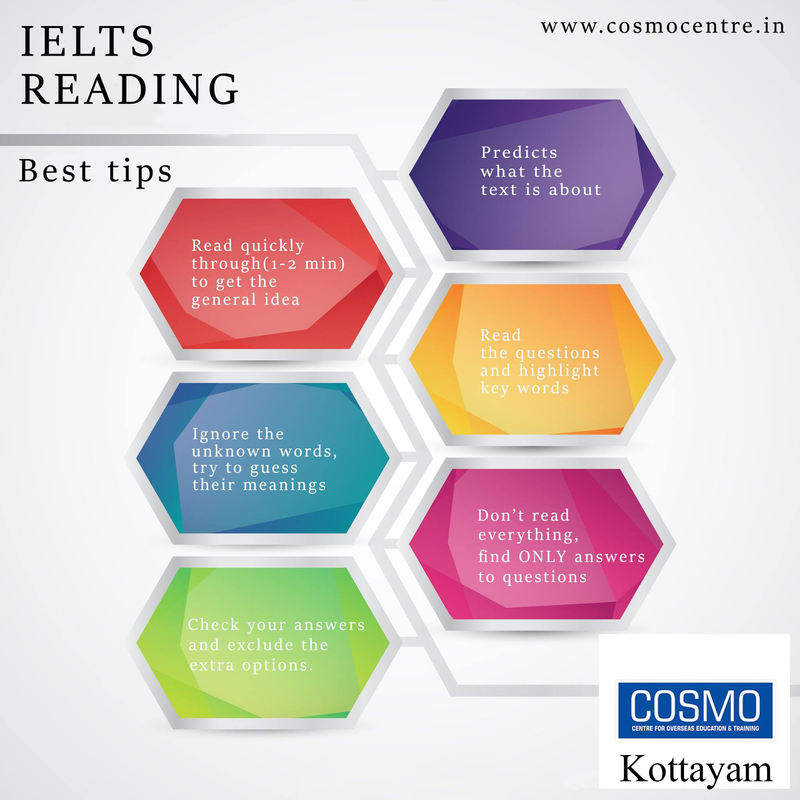 At our COSMO IELTS Centre, the best IELTS institute in kottayam , you are guaranteed to qualify IELTS with high bands. Unlike the training in other IELTS Kottayam institutes , we provide specialised IELTS training in Kottayam in each module using our simple and effective teaching patterns. 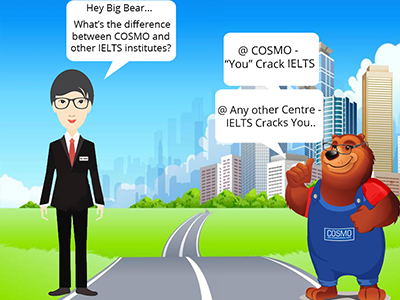 There's no other IELTS Training Centre in Kottayam that can match our unique coaching strategies. 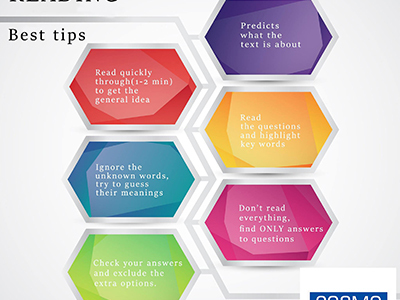 The golden motto of COSMO IELTS Kottayam Centre is to 'simplify IELTS training Kottayam in the best possible way. 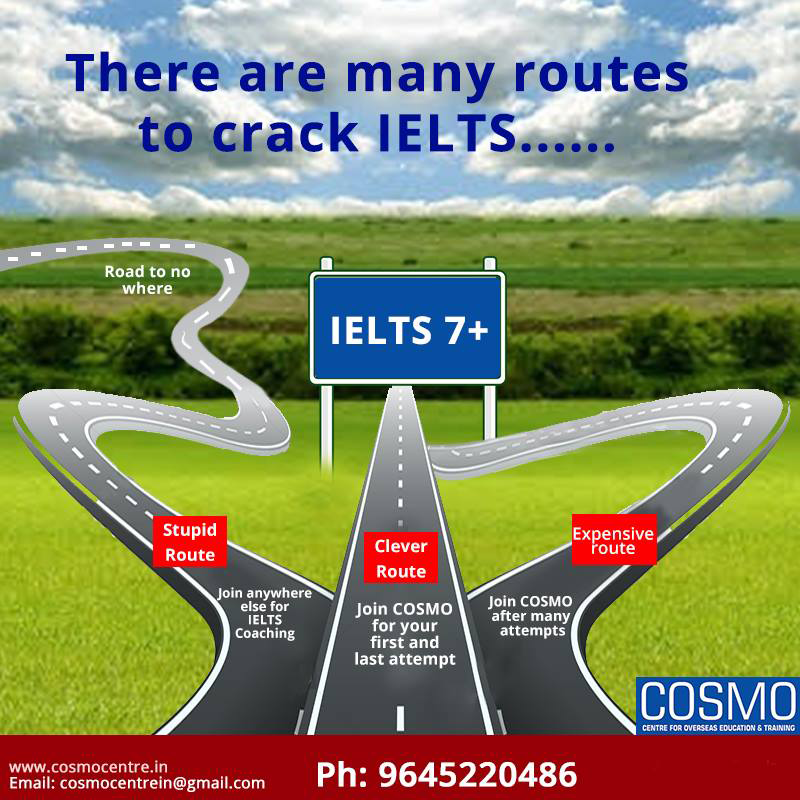 You will never feel stressed when you prepare for IELTS @ COSMO IELTS Training in Kottayam as our coaching pattern will dissolve all your anxities on taking IELTS. 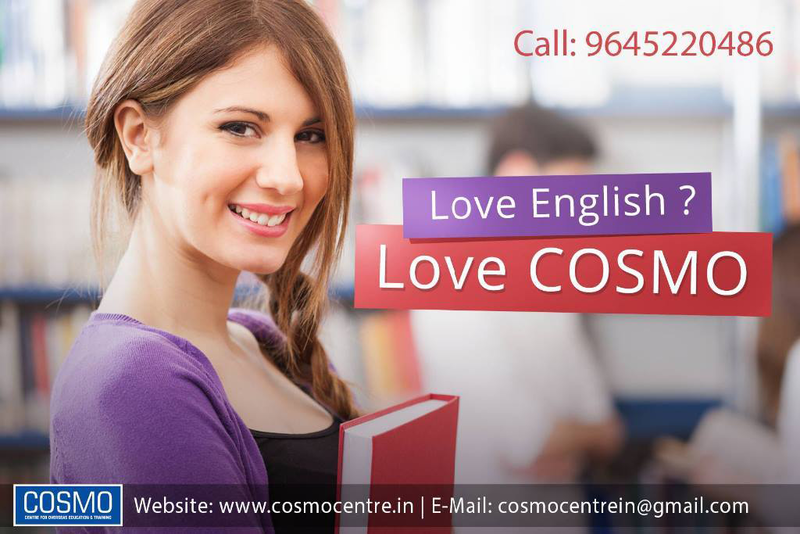 You would simply love the COSMO way of IELTS training in Kottayam. 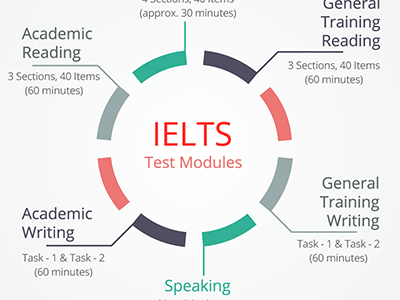 The mock tests on reading , writing , speaking and listening modules will make you armed and equipped to attend your IELTS Kottayam exam with confidence and ease. In addition to being the best IELTS training centre in kottayam, we are also an official IELTS exam registration centre who ensures that our students get registered for the IELTS exam (British Council or IDP) in a city of their choice, be it Trivandrum, Kochi, Angamaly, Thrissur or Calicut ( Kozhikode). Apart from Regular IELTS Classroom training at Kottayam, we also provide online IELTS coaching for those students who can’t attend our regular classes. Our effective and up to date and SMART learning techniques makes it one of the best Online IELTS coaching in India. Our online IELTS classes are taken by pioneer faculties who use masterful methodologies and top class delivery skills which makes these classes potent and constructive. 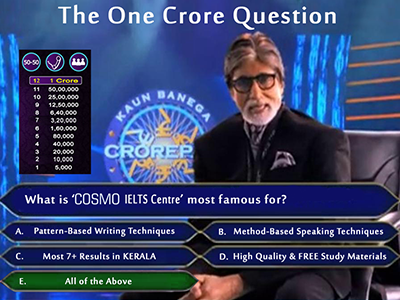 This is why COSMO IELTS Coaching Academy is the best IELTS coaching centre in Kottayam ! We don't just say it , we make it happen! 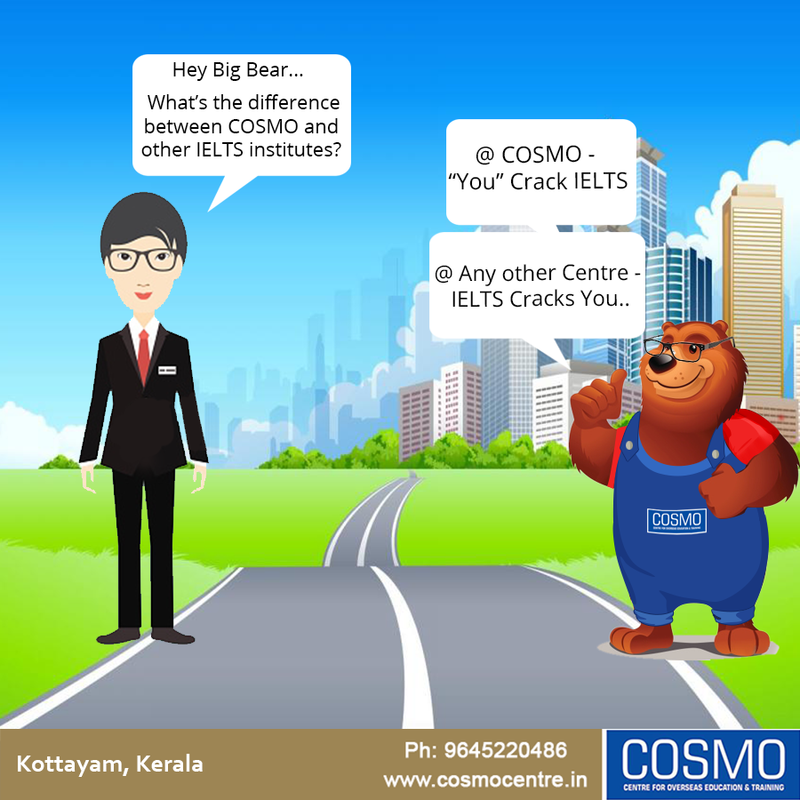 If you require the most exquisite IELTS coaching at kottayam, think no further , COSMO is your terminus. 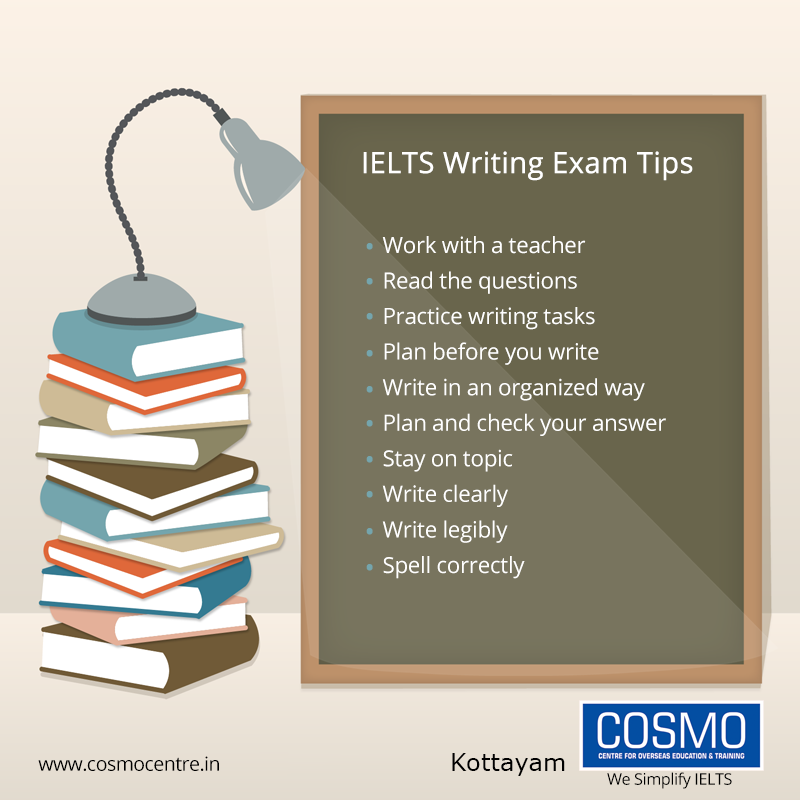 Our distinctive teaching methodology makes us synonymous with the best IELTS training in Kottayam. 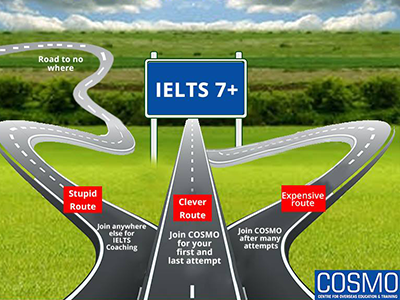 Cosmo – a trusted IELTS training centre with 1000s of students with 7+ score – has started it’s IELTS Kottayam branch to cater to the demands of high-quality coaching for Central Travancore (Kottayam) based students. 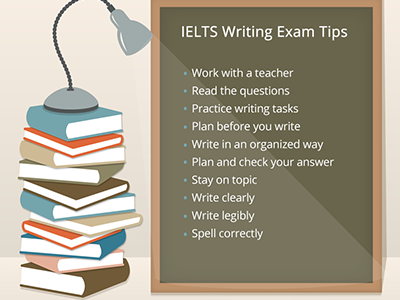 Our IELTS Training focuses on all four parts of the test – IELTS Listening, IELTS Writing, IELTS Reading, and IELTS Speaking. 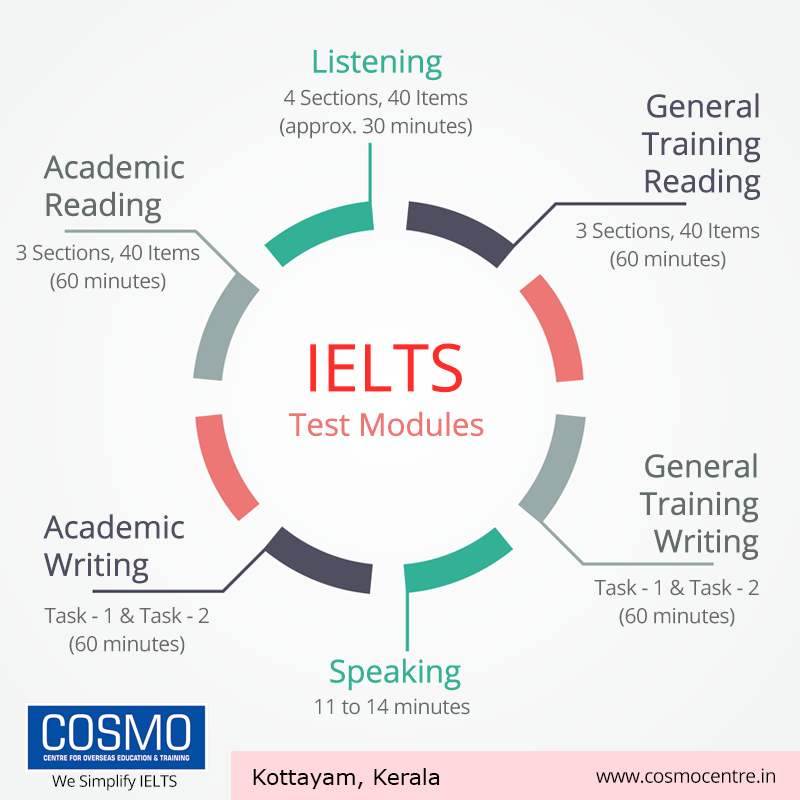 Cosmo offers specialised classes to meet the demands of IELTS General Training as well as IELTS Academic coaching students in Kottayam. 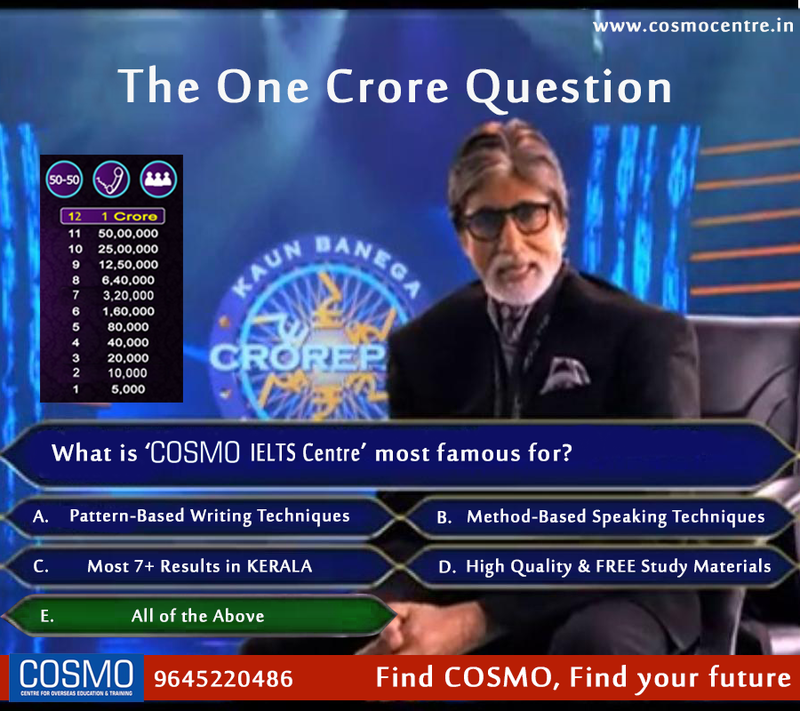 Cosmo has the most number of IELTS 7+ results in Kottayam. Our classes are taken exclusively by experienced faculty, thereby guaranteeing exceptional training standards. The course modules are also scheduled in such a way as to make it simple for students to understand as our motto is to simplify IELTS. We also conduct weekly IELTS mock tests in reading, writing, speaking and writing modules to take the edge off your exam fears and leave you relaxed on the exam day. 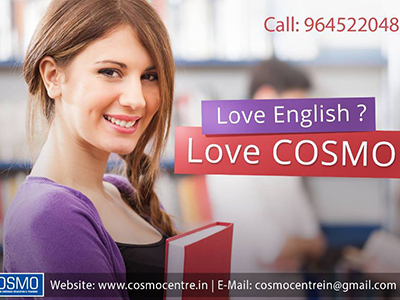 Those who want to score high in IELTS exam can most certainly benefit by joining Cosmo’s IELTS Kottayam branch. 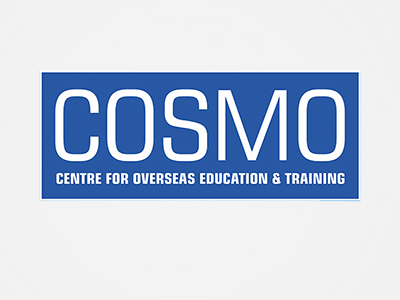 COSMO Centre provides an excellent student experience in language learning through Pattern - Based teaching methods and strategies, which makes us a unique institution in Kerala, India. With thousands of happy students over the last many years, start your odyssey to greater heights with us. We don’t just meet your expectations, but we endeavour to exceed your expectations by a wide margin.